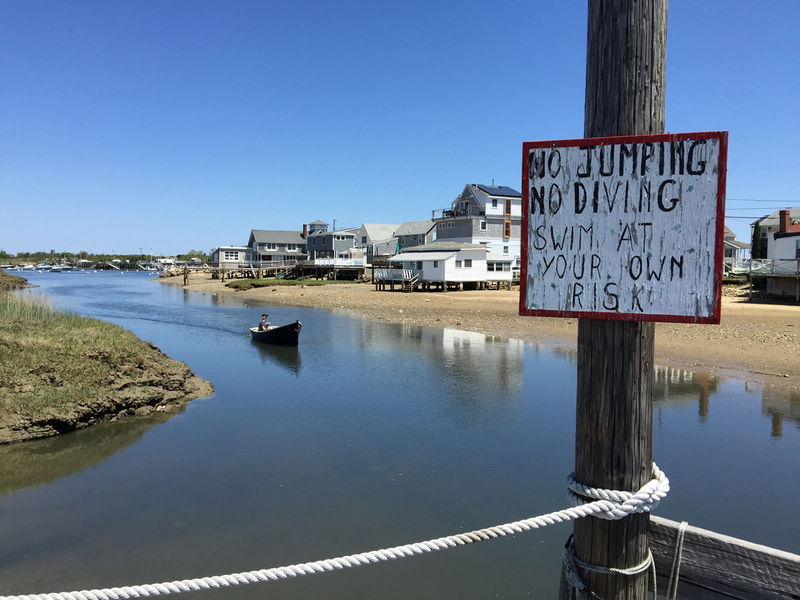 Green Harbor Lobster Pound in Marshfield opened for business on Memorial Day weekend. We were first in line as we got there at 11:10AM to beat the crowd. But, as it was opening day and a Friday to boot, they were still getting ready to open and apologetically informed us they wouldn’t be open until noon o’clock, in spite of their Facebook page saying 11 am. No matter, we had a nice drive around Marshfield (Daniel Webster’s estate and law office is still there!) until opening hour. 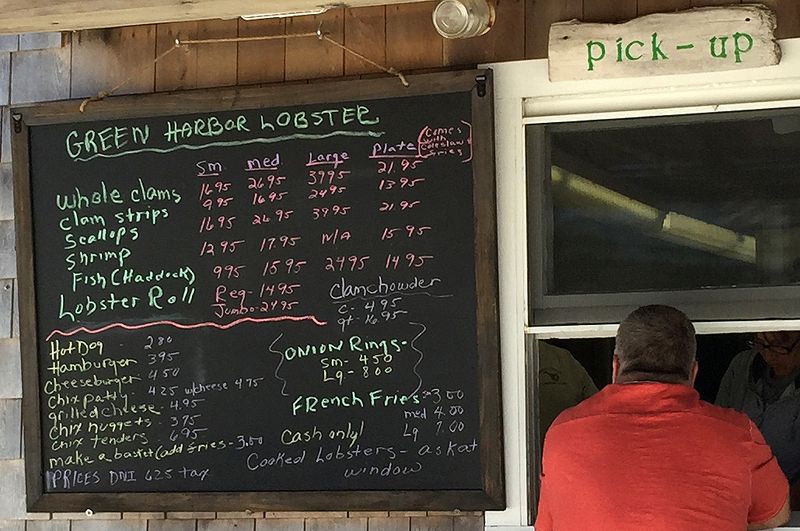 Green Harbor Lobster is just a shack, but don’t let that fool you. They make the best lobster rolls…large chucks of meat and lots of it. It is why we are willing to drive an hour to be there on opening day. 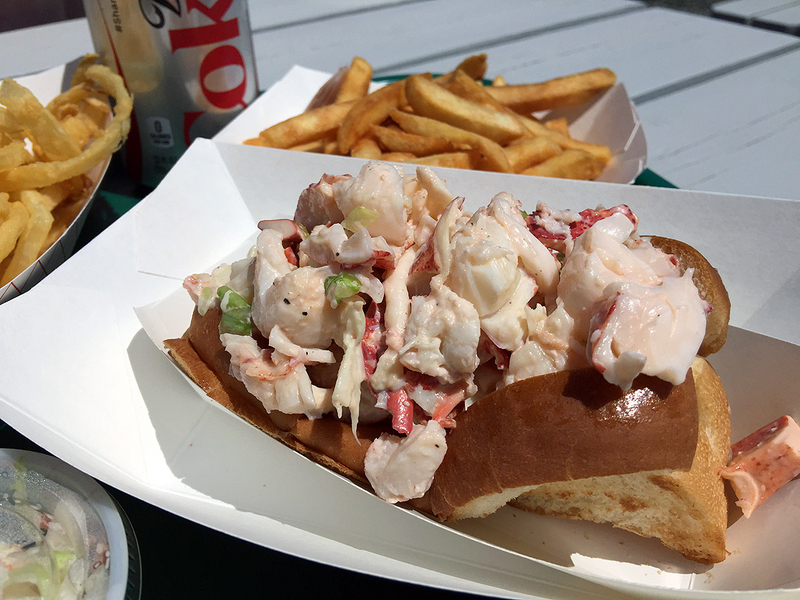 Having our first GHLP lobster roll of the season is our unofficial start to Summer. What is even better this year is that the price for the regular lobster roll has dropped from $19.95 to $14.95. What we didn’t notice until this visit was that GHLP offers a jumbo version of the lobster roll for $24.95. We guess we’ll have to leave that one to the “pros” as we can hardly finish the regular sized one 🙂 BTW, the onion rings are pretty awesome as well. There is free parking. You can get the food to go or eat it out back at the picnic tables set up right next to the water. The view is great any time of the day. If the tide is high, you may even get your feet wet!!! And when you’re done eating, you can wander over the little bridge, cross the road, and walk down the sandy footpath to the beach! 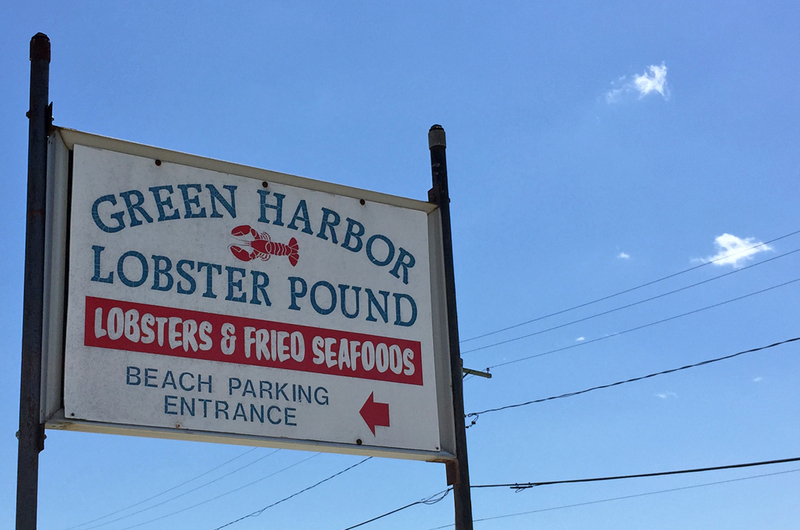 Green Harbor Lobster Pound is one of those places that is so good that you vacillate between wanting to keep it a secret and telling everyone you know about it. We’ve kept it to ourselves for five years, but we thought it was time to let RainyDayMagazine readers in on this little gem. Oh yeah…bring cash (and lots of it) as they don’t take credit cards. First visit of the season today to GHLP. Oh my. The lobster roll is the best. Awesome…right??? They have been great year after year.